I'm a little lazy about some things, mainly related to finishing: blocking and lining. I plan to make a bag of granny squares using some sale stash yarn in pleasing colors using a pattern from The Green Dragonfly Blog (thegreendragonfly.wordpress.com). 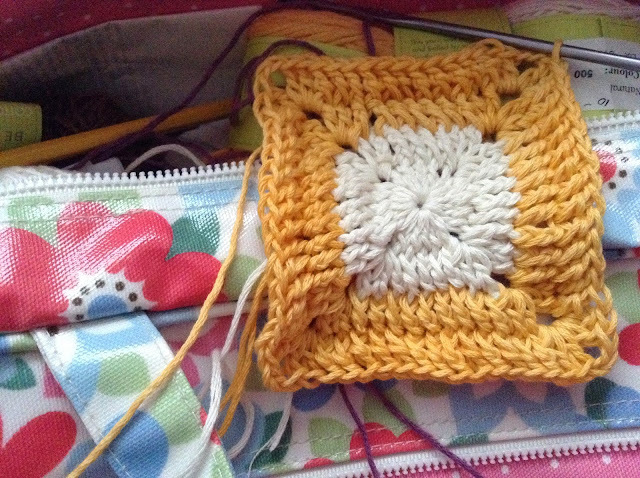 I don't want to have to line this bag so I need a square with hardly any gaps. Have been working on this a couple of days but I think I may be there.